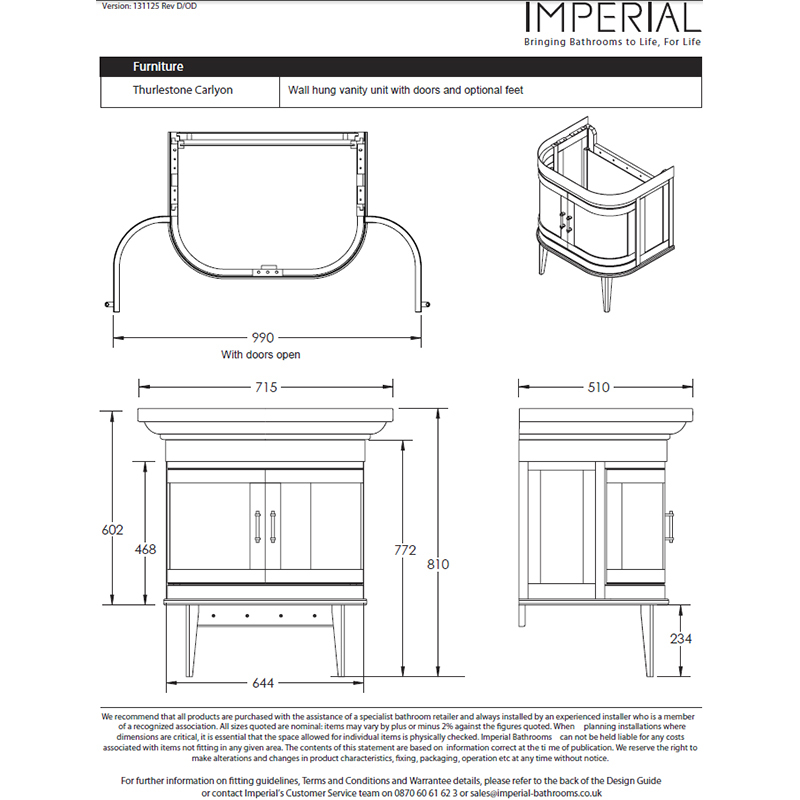 The muted tones of this stylish hand-painted Carlyon Thurleston Wall Hung Vanity Unit from Imperial Bathrooms evoke a timeless elegance that will create a focal point in your bathroom. 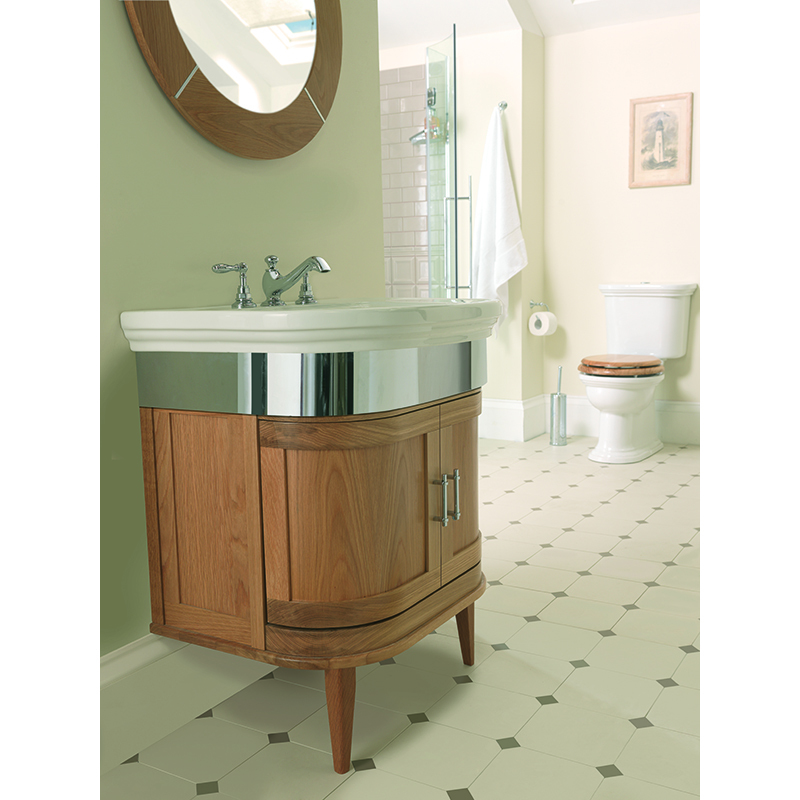 With its beautiful grey ecru finish, Deco-inspired styling and soft curved shape, this traditional vanity cabinet will make a stunning addition to a period influenced interior. 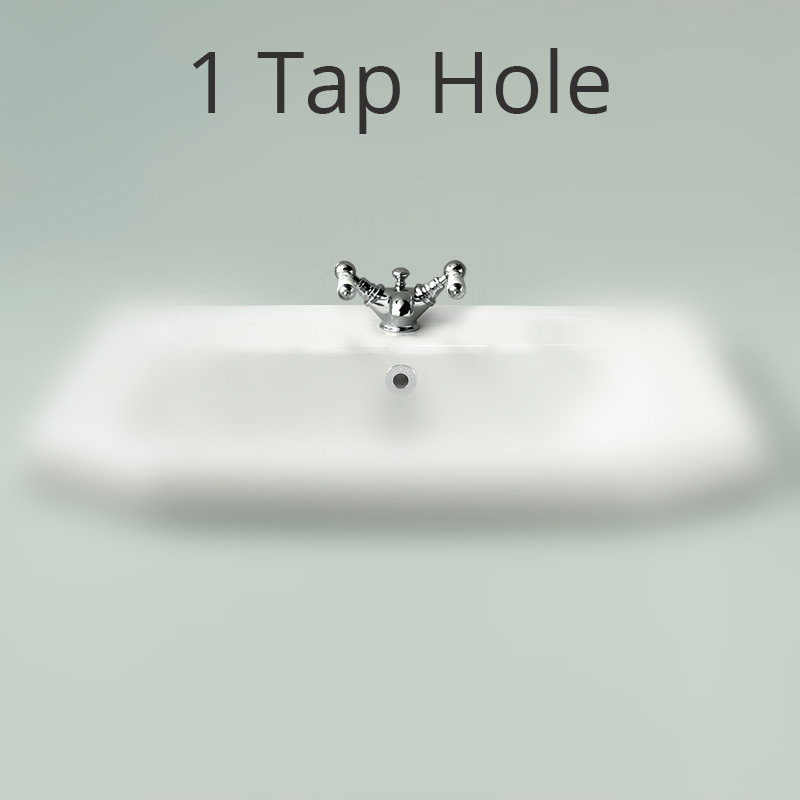 A large pure white ceramic basin is supplied with your choice of one, two or three tap holes to suit your preferred choice of basin taps.